Note: Visit here to see if newer version exist. change the enabled flag to enabled=1 in the section [rpmforge-extras]. This entry was posted in Centos, Linux/Unix and tagged CentOS, CentOS 6.x, Git, RPMForge on September 2, 2013 by Etay Cohen-Solal. yum provides git will help you see all versions available. Develop with the new WordPress 3.5 Media Manager. If you are a WordPress plugin developer, you may want to use the new build-in WordPress 3.5 Media Manager in your plugin. This tutorial will teach you how to implement the Media-Manager in your plugin. This entry was posted in Web Development, WordPress and tagged Git, Wordpress on February 1, 2013 by Etay Cohen-Solal. 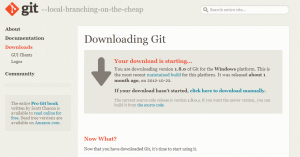 “Git is a free and open source distributed version control system designed to handle everything from small to very large projects with speed and efficiency. This entry was posted in BASH, Linux/Unix, Ubuntu and tagged Git, GitHub, Install, Ubuntu on January 28, 2013 by Etay Cohen-Solal. This entry was posted in BASH, Centos, Linux/Unix, Security, Ubuntu, Windows™ and tagged Clone, Git, GitHub on January 28, 2013 by Etay Cohen-Solal. There’re many Git clients available for windows, like Git, msysgit, QGit, GitCola, TortoiseGit, SmartGit (FREE and Commercial) and others. not to mention existing eclipse, visual studio extensions. You may choose what’s suits you best. I’ll demonstrate using the GitHub for Windows GUI. Download it Here. Those instructions are for version 1.8.0-preview20121022. your installation may be different. Installation is fairly simple, Just press <NEXT> 6 times to the end (don’t forget to READ the GNU General Public License!). the default options are ok for any starter. 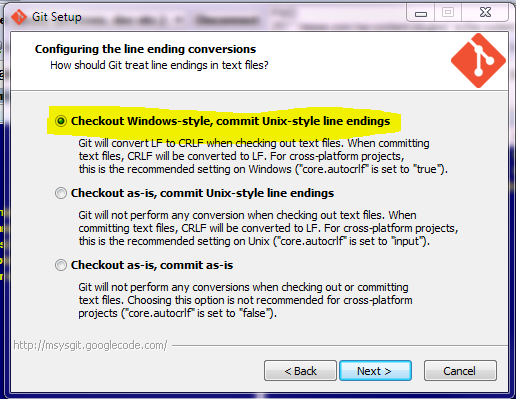 If you know what you are doing, read each step carefully, if you need to add the Git or Unix tools from the windows command line, you should enable it during the installation. 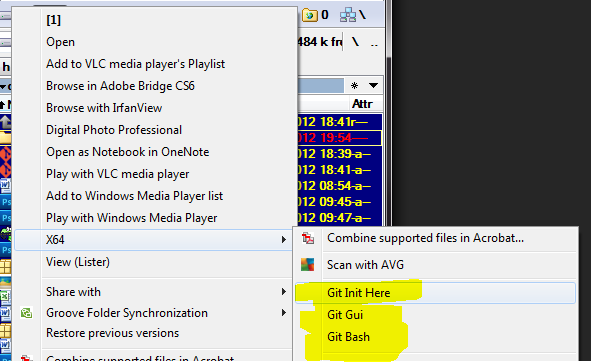 i recommend Git Bash only, Windows command Prompt (second option) ok too. should be safe, I find it rather useless. the third option is only for experts. do it on your own risk! By default the Git Setup uses OpenSSH bundled. If you are using Putty, you can enable the Tortoise PLink at the setup wizard. I recommend leave the default line ending windows style. If the Repository meaning is unknown to you, read this. For Start your will create your own local repository. You need an empty folder to create your repository in. create a <New Folder> folder on your desktop, drive d, or anywhere you want, as long as you remember where. Maybe, the simpleist way, is the context menus. select or create a new empty (or not) folder anywhere, right click it and then select <Git Init Here> (It may be under X64 menu in x64 systems). Start your Git Gui > Create New Repository > Browse (Select your empty folder) > Create. 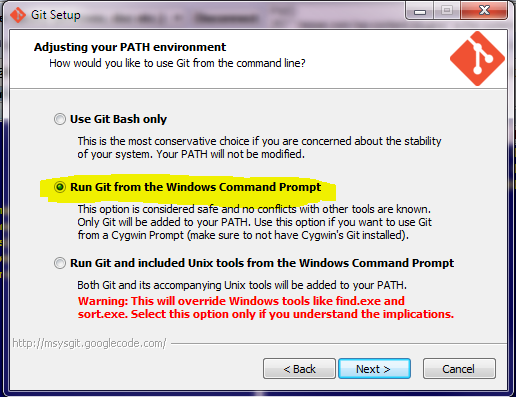 If you have installed the command prompt you can use windows command prompt to locate the folder and then <git init> the same you whould do in git bash. Any way you’ve choosed, will create an hidden <.git> folder inside your folder which saves all the data for your repository. you can delete the .git folder to delete your local repository and disband anything you made using git and your folder returned to be an normal empty folder. if you are just created your new repository, you are in the status screen. Just press to Rescan button to update. 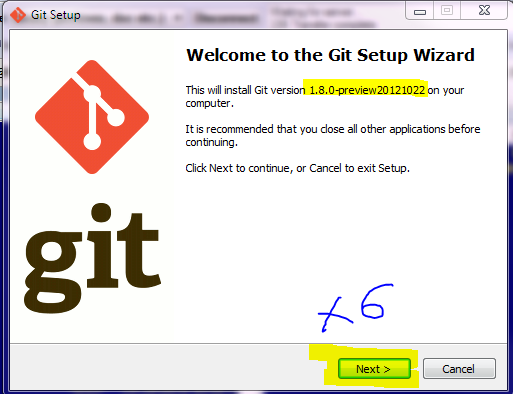 You can load Git Gui anytime > Open Existing Repository > Browse for your folder. 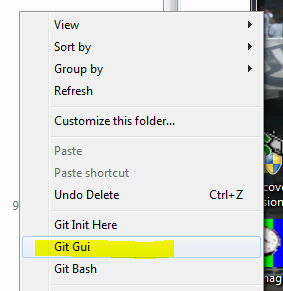 another easy option is to right click the folder on your file browser and then select the <Git Gui> context menu and read the above. Your repository saves the folder versions as commits. before you can commit each commit, you need to add the files you want to be in this commit. if your folder is still empty, you can create now a file or two. just for practice. maybe it’s a good time to create your README.MD file. The first thing to do before you can commit is to identify yourself so Git will know what name to sign on your commits. You can change it anytime but commits you’ve made with this sign will stay. if you won’t configure it, you will get an error later when you’ll try to commit. Omit –global to set the identify only in this repository. The context menus have only one option when you right click the folder or anyfile inside it – <Git add all file now>. It will check all the files inside the folder as belong to the local repository and will add(flag) them as to be saved in the next commit. This feature won’t suit in most cases as it set all files and won’t let you leave files as not belong to the repo – which is commonly done. 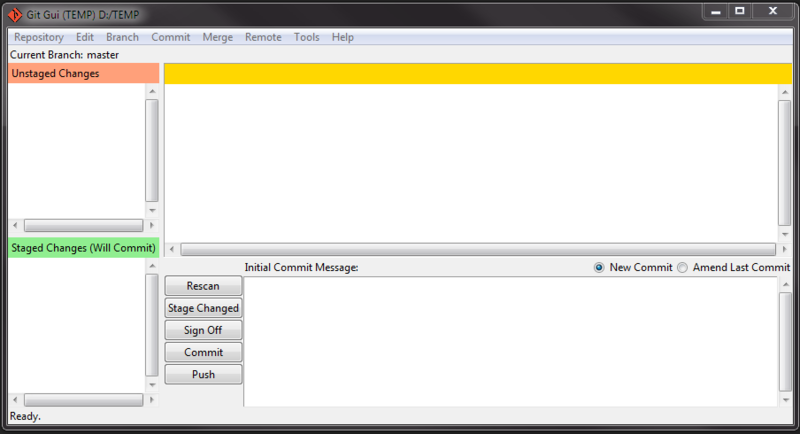 Took me time to find this, click on the icons of the files in the Unstaged Changes area to add them to current commit. you can also click the Stage Changed button to add them all. click on the file icon again on the Stage Changed area to remove the file from this commit. 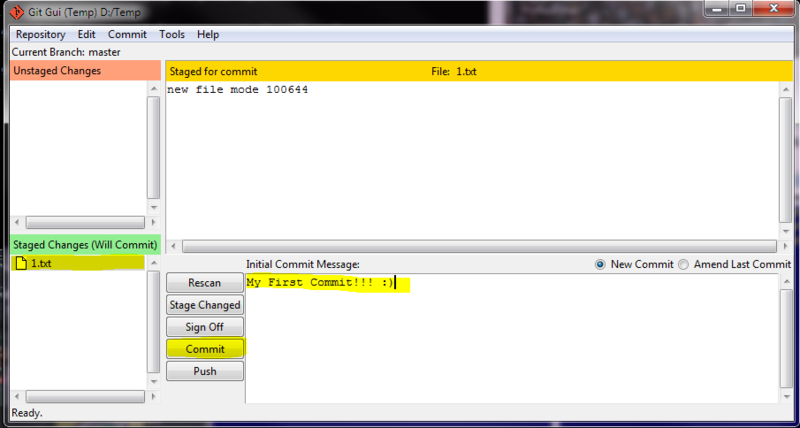 After you’ve selected the files (and directories) to be in the commit, Insert an Initial Commit Message and Press the Commit button to commit :). you need to provide a commit description. using vim by default (can be changed), and you updated your repository with you first commit. 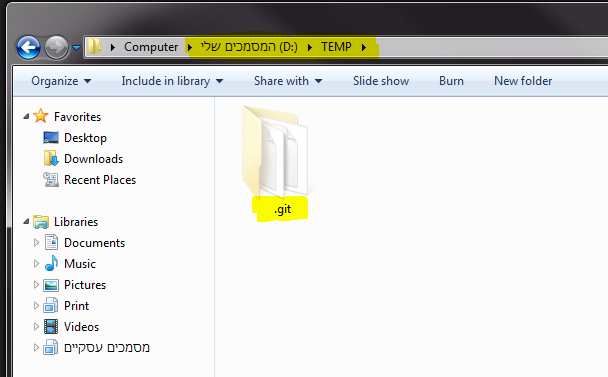 Inside your hidden <.git> folder, git has saved a copy of all your (selected) files inside this repository. this called a commit. now you can continue edit your files, knowing you can always go back to this point again.
. the following example will cover this topic clearly. REMEMBER: to change drive inside git-bash use the CD /D/FOLDER syntax. this line will create a folder inside wherever folder you are located in called WordPress and clone (copy) to it all the files from wordpress repository. you will see inside a .git folder also, which mean you can continue now with your local repository, and even update the source if you have the permission to do so. 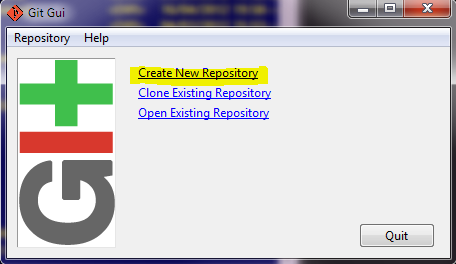 you can also use the Git Gui to clone existing repository, just supply the source location and the target directory. After everything installed and configured, I’ll demonstrate using the above functions to connect to GitHub repository. I’ll demonstrate only using Git-Bash, but feel free to use the other methods as you like. Create A Repo – goto New Repository page in github and create your new repo. this tutorial is for public & free repo. 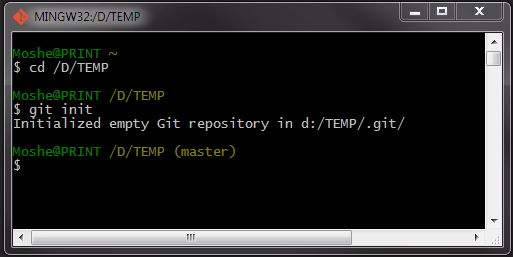 after you created a new repository you need to git it to a folder. git init your empty directory. create a README.MD file or any other file. After the last command (git push) you will be requested to insert your Github username and password. everytime. To disable username & password request each time, you need to use ssh authentication, which is behind the scope of this article. if you already have a project your want to create the repo from just go inside your folder, git init it like above, git add neccesary files (you can use wildcard!) and then resyne the last three line above. if you have a local repo which you want to link to your new online repo just use the last two lines of the bash code above. Those are the basics of Git. you can do a lot more with version control and collaborate with others. 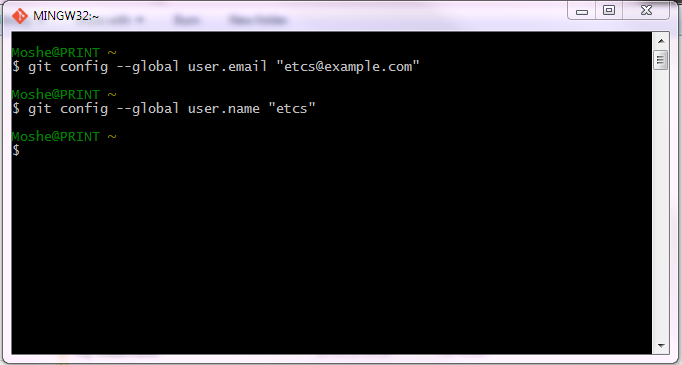 This entry was posted in BASH, Windows™ and tagged Git, GitHub, Windows on December 29, 2012 by Etay Cohen-Solal. This entry was posted in BASH, Centos, Linux/Unix and tagged BASH, CentOS, CentOS 6.x, Clone, Git, GitHub, Linux, Wordpress on September 16, 2012 by Etay Cohen-Solal.